Requires excellence in teaching as documented by student evaluations, comments, and feedback, originality of course, and the provision of superior learning opportunities. Ideally, the candidate should have significant full-time professional status outside the university, and a record of achievement that reflects sustained contributions to the university. 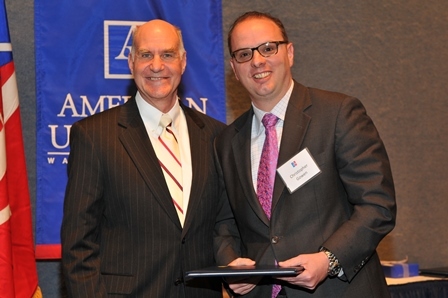 This is Chris’ second recent award from American University. 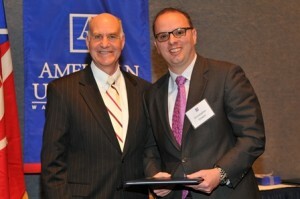 Last year Chris won the Washington College of Law’s Adjunct Professor of the Year Award.